The sun slowly sets and everything that surrounds you seems to die. Your heart beats slowly, your mind becomes invaded with negative thoughts black as the night and your body feels cold as winter. This life is vain and all you can think of is in kissing Death’s lips so that you are no more. If all the most intense suicidal feelings were translated into music you would get Thergothon’s Stream from the Heavens. Quite possibly the darkest most depressive album ever conceived my mankind. Thergothon’s trademark (and what became later on Funeral Doom’s trademark) was the extremely slow and powerful riffing and the sheer depression that the music transmitted. When listening to Thergothon time no longer is and you get a very intense feeling of infinity; it is as if everything just slowed down to their rhythm and that life is being sucked out of everything around you. The atmosphere created is so deep and engulfing it becomes a supernatural experience, where avoiding entering in a trance is almost impossible. Add to that the coldest growls I have ever heard in my life, where it seems that Death itself is singing to you and you have a complete suicide soundtrack. Only accompanied by a few touches of synth here and there and by some melancholic acoustic guitars now and then, Stream from the Heavens shows that there’s not always a need for complicated song structures or technical feats in order to create an amazing album; in fact, many times the most intense emotions are portrayed in simple music. 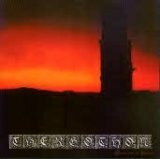 Thergothon managed to purely transmit the darkest feelings hidden within men and to do it in a non pretentious way, thing that bands seem to adore nowadays. This album not only created a new (sub) genre but also inspired countless artists all around the world and although it has been imitated countless times, there isn’t one album out there that comes close to create the atmosphere these Finnish gentlemen created with their only proper album. So sit back and realize that everything you once though was obscure and decaying, pales in comparison to this opus, the materialization of the human’s deepest sorrows. Be warned, Streams from the Heavens is the coldest of blades to your wrist.